Alabama significantly changed its limited liability company law in 2014, and the revisions to the Alabama LLC Act apply to any LLC that is created on or after January 1, 2015. All existing LLCs, including those that were formed prior to January 1, 2015, will be bound by the new act on January 1, 2017. The new LLC Act gives business owners more flexibility to fashion the obligations and structures of their LLCs, and also empowers managers and owners with the ability to craft and mold the governance of LLCs through the power of contract. Overall, the new LLC Act’s flexibility provides LLC members with the ability to have more contractual freedom in establishing the operational contours of their LLC, making it more important for companies to have their arrangements, especially their initial Company Agreements, in writing. Lawyers will be called upon to draft new Company Agreements or to modify existing agreements in a manner that maximizes the advantages of the new LLC Act while minimizing any negative consequences of the new law. This webinar with Jon Macklem, a partner with Christian & Small, LLP, will cover the most pertinent developments in this law to assist lawyers in properly drafting Company Agreements for their clients. Implications of Alabama’s New LLC Act — is just $107. 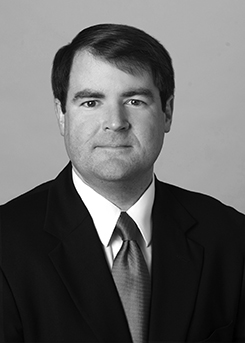 Jon Macklem, a partner with Christian & Small, LLP, is an experienced corporate attorney who represents and advises clients on a broad range of legal matters – representing businesses and professionals in litigation in Alabama and across the Southeast. He regularly defends clients in complex contractual and business tort proceedings involving Director/Officer liability issues, shareholder disagreements and franchise disputes. He has successfully tried a number of lawsuits to favorable judgment, from jury trials involving intricate business dealings to multifaceted employment allegations – while also playing a vital role in a number of arbitrations involving construction and commercial matters. Mr. Macklem is currently defending a number of corporations in cyber liability and data breach lawsuits, and his knowledge and advice is often sought by businesses to guide them through complicated non-compete and trade secret agreements. He is also a member of the firm’s Technology and Emerging Business Practice Group, where he frequently works with entrepreneurs and start-up businesses.